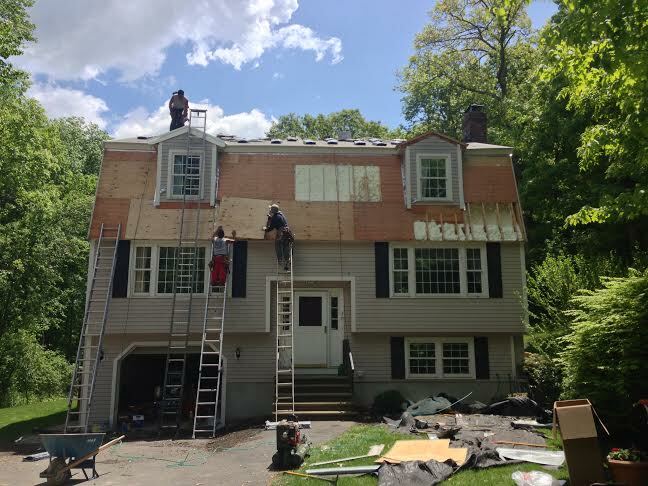 Spray Foam Insulation & Roofing Installation Reading MA | Nor'easter Roofing Inc. The Nor’easter crew has been hard at work on this Reading, MA home with a new roof installation as well as spray foam insulation. Spray foam insulation is of great benefit to homeowners; between this and the look of the new roof, the house will look even better than it already does. Call us today if you’re located in a neighboring Massachusetts area and could benefit from our roofing, siding or window services.